A local court on Thursday issued a non-bailable warrant against all the accused on the run, including Yogesh Raj named in the Bulandshahr violence case. Yogesh Raj is the convener of the district unit of Bajrang Dal and one of prime accused in the case. So far, the police have been able to arrest four people. Speaking to ANI, Prabhakar Choudhary, SSP Bulandshahr said, “SIT is investigating the incident in Siyana, some of the accused have been jailed and non-bailable warrants issued against others. We’re trying to arrest those who are absconding; if they’re not arrested soon, we will put prize on their heads”. On December 3, inspector Subodh Singh Kumar and a local, identified as Sumit, were killed in the violence, which erupted after the carcasses of 25 cattle were found in the forests close to a police post. 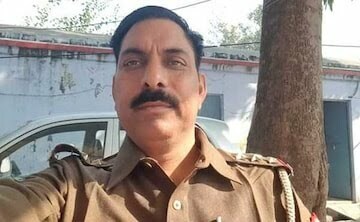 According to sources, the post-mortem examination conducted on Subodh Kumar Singh had confirmed gunshot injury on his head.